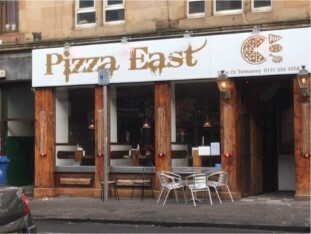 Central Business Sales is delighted to offer to the market a modern and stylish authentic Italian pizza restaurant in a sought after high footfall location. The premises have been completely refurbished to a very high standard, with all the furniture being hand made and an industrial rustic design throughout. The family run restaurant offers the full Italian experience and use authentic ingredients. There is a range of specialty pizza on the menu all freshly made to order. The menu could be extended to include additional dishes, such as pasta and risotto. The owners have recently added a delivery service - this has proved popular and the owners see this as a possible avenue for future growth. The large fully modernised restaurant is approximately 90m² and is in excellent condition. The large single front entrance leads into the main seating area with a large open plan kitchen to the left. The kitchen is fully equipped with all equipment included in the sale. There is a storage area and customer toilets located to the rear of the premises. The business is being offered on a leasehold basis with a new long term lease avavilable. The current rent is £15,000 and 100% rates relief applies under the Small Business Bonus Scheme.